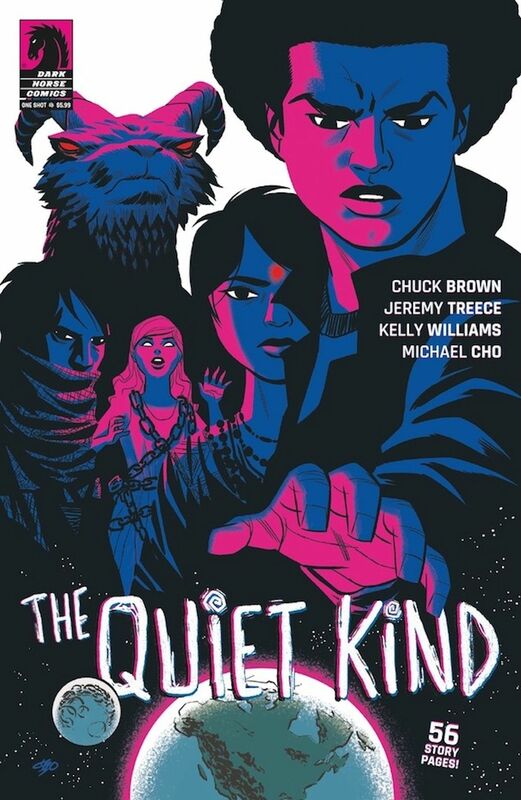 Join acclaimed writer Chuck Brown (Bitter Root, The Punisher, Black Panther) and artist Jeremy Treece (Angel: Season Six, Fantastic Four) as they explore what it means for young, marginalised children to suddenly find themselves in possession of a great, cosmic power in a new Dark Horse one-shot, The Quiet Kind! The Quiet Kind is a tale of power, revenge, and empathy as a young boy named Solomon is suddenly imbued with the powers of ancient gods. After a visit by a band of similarly-gifted children, Solomon must decide whether to use his powers for good or risk unravelling existence itself just to seek vengeance on his bullies. This oversized, 64-page issue features an 8-page prequel story illustrated by Kelly Williams (Creepy Comics, A Letter To Jo) and features a cover by Michael Cho!